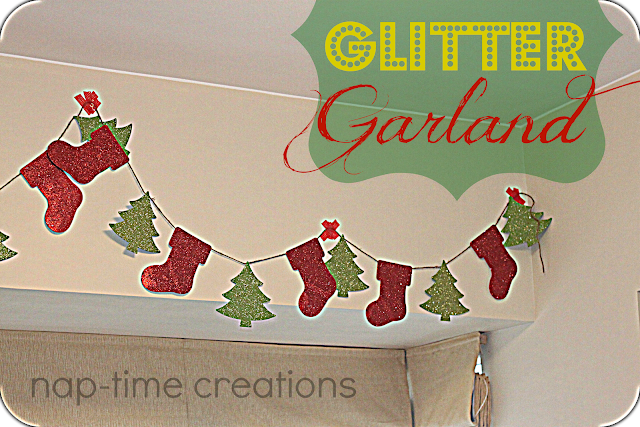 I just love this Christmas Cookie felt garland! It’s so cute and whimsical and perfect for decorating a kids room or space. So today…. I’ve made my own version and am sharing it with all of you! 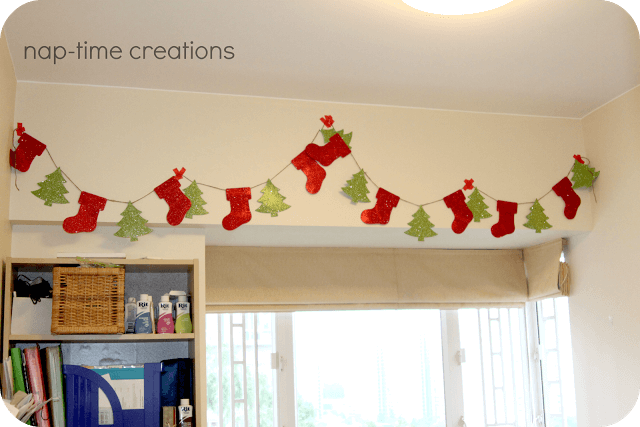 I really love the finished garland and I am LOVING the twine look for my Christmas decor this year. First, you can find the cookie templates HERE. I used three different methods (one for each cookie) but you could make all with the same method… find what works best for you and what is easiest for you. start by cutting out the cookie (x2 for each) and icing. Hand sew on the beads for sprinkles (I love this detail!) you could also glue them. I also put a few stitches around the outside of the frosting (you could machine sew this) After you have your cookie “decorated”, sew around the edge, stuff and close the hole, inserting your hanging loop. With the exception of the beads this could all be machine sewed. I think it would also look cute just using sticky felt and not stuffing it. 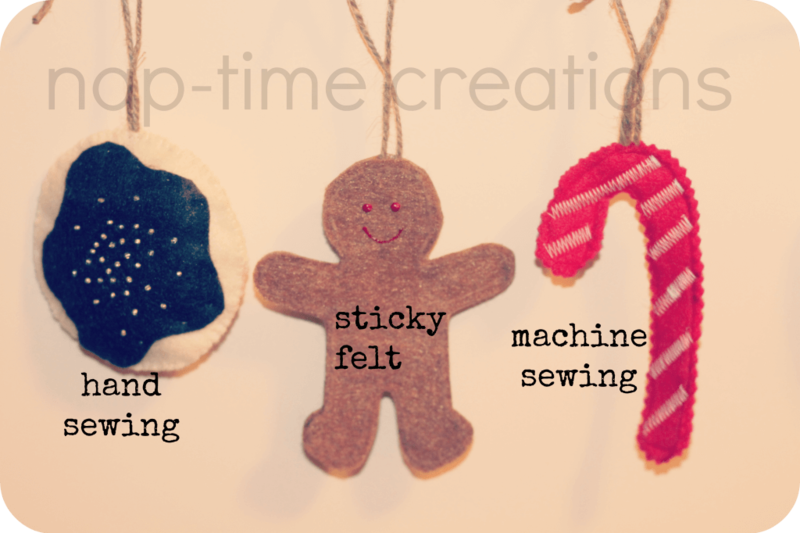 I used sticky felt for these little guys because it was what I had on hand in brown. I cut out two for each and stuck them together with the hanger in the middle. I added puffy paint detail for the “frosting” trim and face. 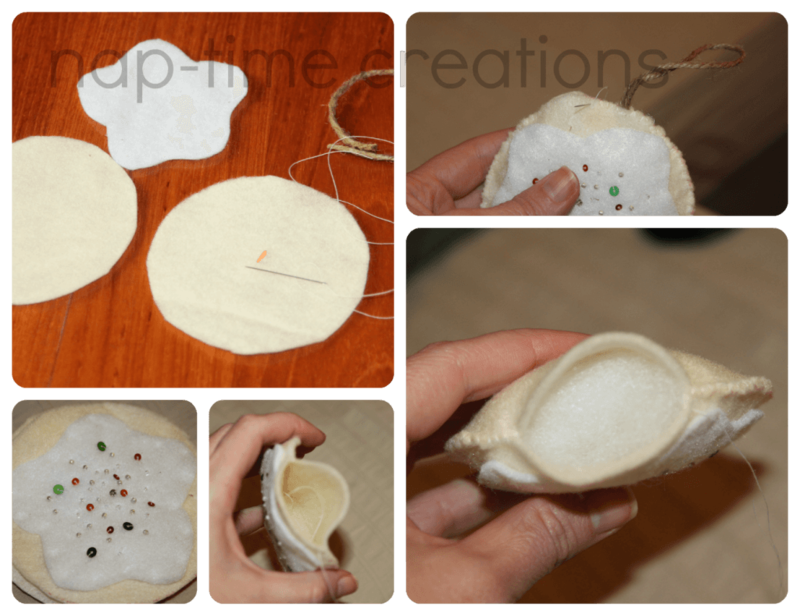 You could also use two pieces of normal felt and either hand sew or machine sew them together. Cut out two for each cane from the template. I pinned two together with the twine in between. I then machine sewed around the outside, catching the twine. I finished these beauties off by zig-zagging strips on each one. My settings were: stitch width 7mm (as wide as my machine goes) and stitch length 1. 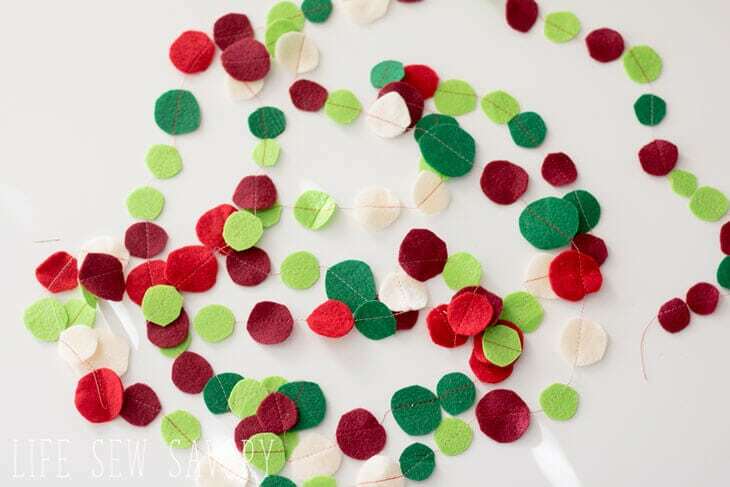 You could also use the sticky felt for an entirely no-sew version of these candies. 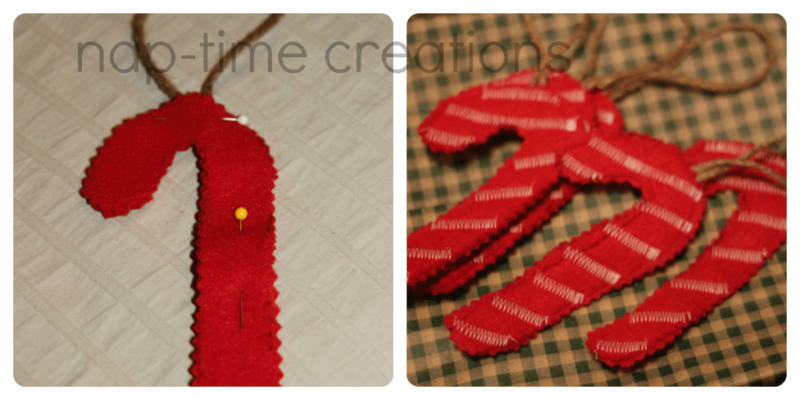 You could use ribbon, which may be a little easier, but in keeping with my twine love…. here is how I made the top for the garland. Take a piece of twine a bit more the twice the length you need. Tie one end to a chair or get help. Twist the loose end in one direction until is starts to twist up (like photo). Place you hand in the center and fold it in half, letting it twist all into itself. Now you should have a two stranded twisty twine that will stay like that. I took a short twine, put it through the loop on the ornament and then through a hole (make with your finger) in the twisty garland. Tie in your ornament here and it will not slip or slide. Evenly space out your pattern… then hang it up… stand back and enjoy! Now if I could only decide where to hang it…. *note* I ended up giving it away in a drawing during my annual cookie exchange. It was the perfect cookie gift! I love finding off-season bargains! (its the only way my kids get new clothes!) I love even more when I find a steal, then actually remember to use it the next year! (somewhere in our small apartment is a pack of glow in the dark snowflakes that we bought last year! 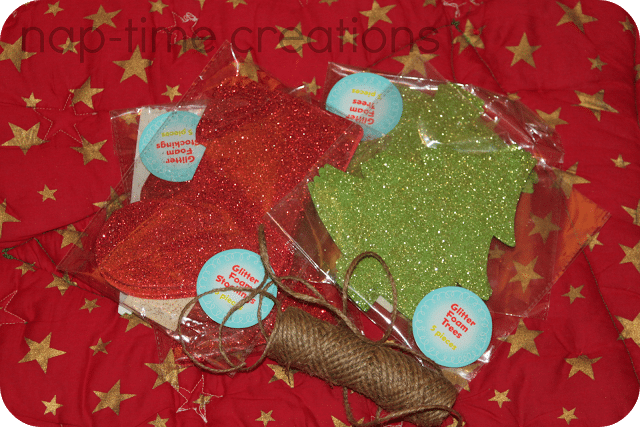 Can’t find those…) So last year when I saw these glittering stockings and trees in the $1 bins at Target… and after Christmas they were 50% off, I grabbed two packs of each… with visions of garland making dancing in my head. And… Low and behold, I remembered to use them! The whole thing turned out just as I hoped it would. 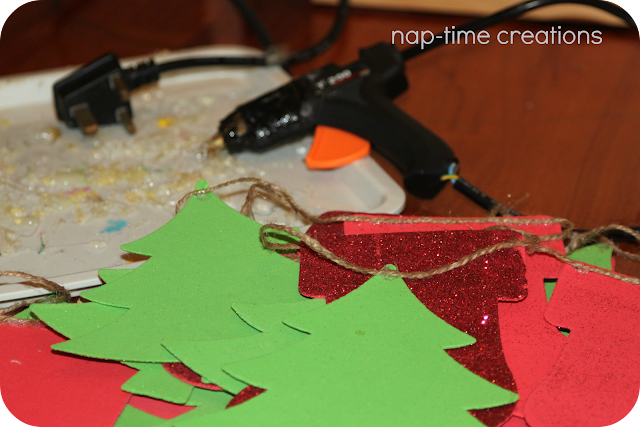 You can also make the same thing with out the pre-cuts, but cutting out shapes from your own glitter foam boards. 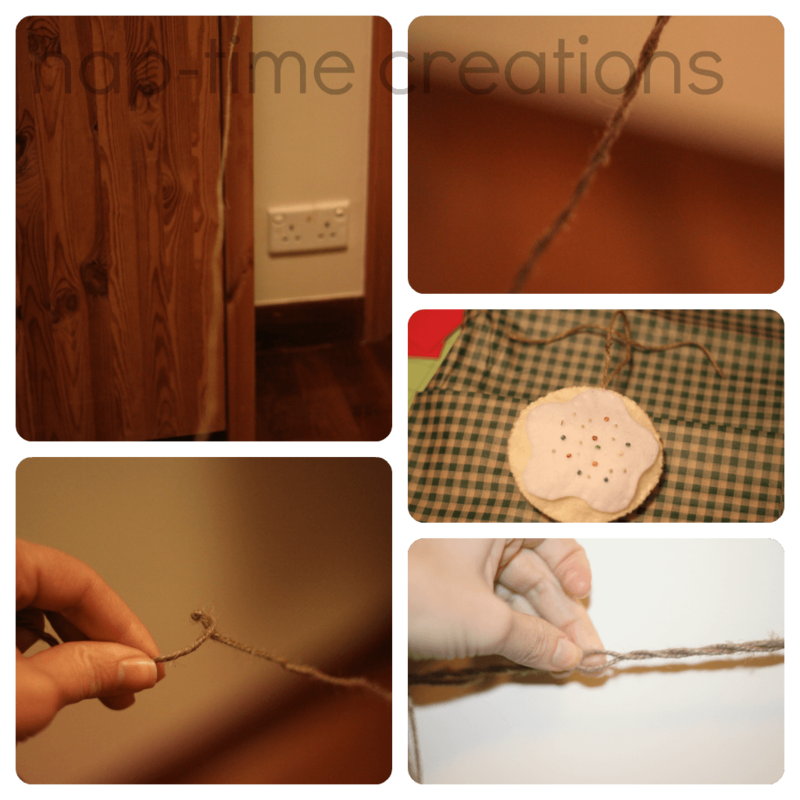 I simply put a dab of hot glue at the top of the tree or along the stocking top and glued the twine to it. I was gluing on a newspaper and used some photos on the paper to help guide my spacing. The cookie garland is so cute! Emily, this is so cute, I have to pin it! The little gingerbread men are so sweet! THis is really cute. I totally want to make one too! Hi! First time on your page. Saw it as a “suggested” page post on Facebook. Nice stuff! 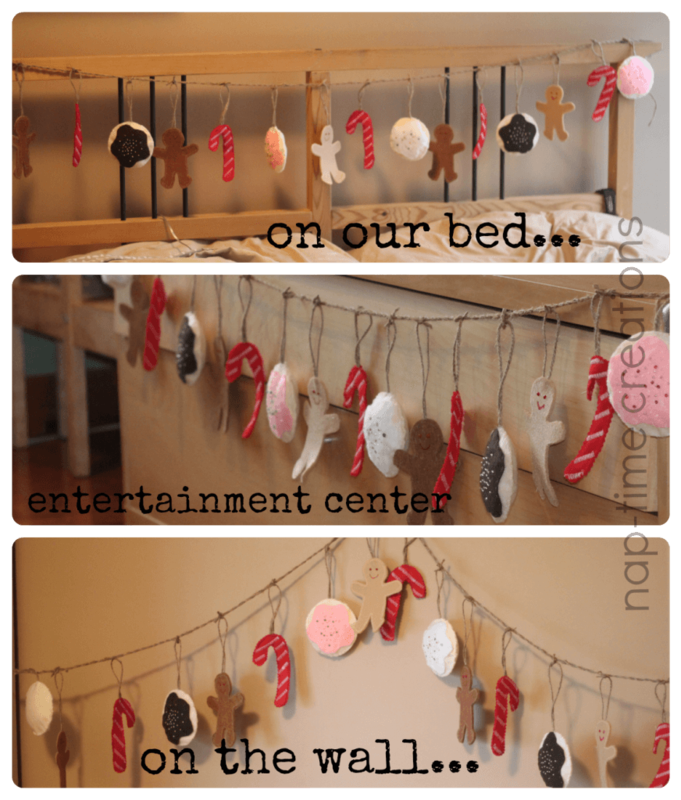 I love the cookie garland! Your cookie garland is absolutely adorable!